Gola ladies Coaster is a classic silhouette and one of Gola’s most loved styles. This style has been given an update with the addition of a geometric print to the sole. 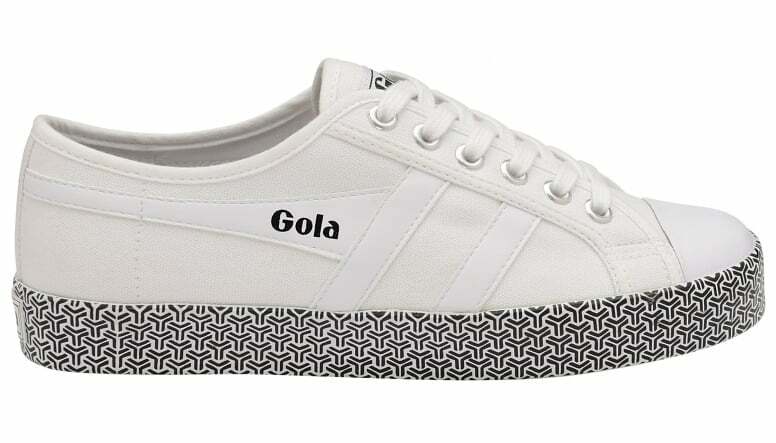 This popular style perfectly suits the current retro-sports trend which incorporates a white canvas upper, self colour wing flash and toe guard, the Gola branding can be seen on the wingfash, heel return and tongue.